The centrepiece event will take place in Gush Etzion, south of Jerusalem. The West Bank settlement “bloc” enjoys wide support in Israel, not least because it was established long ago by the supposedly left-wing Labour Party, now heading the opposition. … for Israelis, most of whom have never known a time before the occupation, Israel’s rule over the Palestinians seems as irreversible as the laws of nature. The Foreign Ministry ordered Israel’s ambassadors to mischaracterise its illegal annexation of East Jerusalem as a simple “municipal fusion”. To avoid diplomatic reprisals, Israel claimed it was necessary to ease the provision of essential services to the occupied Palestinian population. One of the Zionist movement’s favourite early slogans was: “Dunam after dunam, goat after goat.” The seizure of small areas of territory measured in dunams, the demolition of the odd home, and the gradual destruction of herding animals would slowly drive the Palestinians off most of their land, “liberating” it for Jewish colonisation. If it was done piecemeal, the objections from overseas would remain muffled. It has proved a winning formula. Fifty years on, the colonisation of East Jerusalem and the West Bank is so entrenched that a two-state solution is nothing more than a pipe dream. In a “goodwill” response, Israeli Prime Minister Bintamin Netanyahu has unveiled a framework for settlement building. It is exactly the kind of formula for deception that has helped Israel consolidate the occupation since 1967. Peace Now points out that the settlements already have jurisdiction over some 10 per cent of the West Bank, while far more is treated as “state land”. The new framework, says the group, gives the settlers a green light to “build everywhere”. [Palestinians fear] Trump will try to impose a regional solution on Arab states, over Abbas’s head, designed to “eliminate the Palestinian cause altogether”. It is past time to recognise that Israel has established an apartheid regime and one that serves as a vehicle for incremental ethnic cleansing. If there are to be talks, ending that outrage must be their first task. Sorrow and strength have emerged in Stockholm after the terrorist attack in the city on April 7th, 2017. It happened just a few days after terror attacks in London and Saint Petersburg. The result is 4 dead on Drottningsgatan (The Queen’s Street), of whom Swedish citizens, 1 British and 1 Belgian national, as well as 10 severely injured and hospitalized. The Swedish response a day after the attack was a massive love pageant, which gathered thousands near he square of Sergel (Sergels torg). While the emotions are still strong and pictures vivid, a few pragmatic questions are awaiting a response: will Sweden remain united in its diversity and how will national politics tackle the spreading of hatred in Swedish society? Some numbers outline major tendencies. What happened on April 7th, 2017? Police got a SOS alarm at 14.53. According Swedish National Television, 15 people were injured, of which 9 severely. Police told Swedish Radio and Television that they are working on a suspected terrorist attack. Later in the evening, the police confirmed that, as a result of the tragic incident, 4 people were reported dead. The entire public transport was suspended and later in the night, in the northern part of Stockholm, a man was detained. SÄPO (Swedish Security Police) introduced security checks at all departure points from Sweden; the police in the city of Gothenburg received orders to trigger a special security mode; however, the national security level has not been raised and stayed at level 3, out of 5. The quick and effective co-operation between the different Swedish authorities in running the operation after the terrorist attack received good coverage in Swedish media with an overall positive response by society. “Sweden has been attacked. Everything indicates that it is a terrorist act. Our thoughts are with the victims, their families and the injured“, said Prime Minister Stefan Löfven in a statement. The opposition and Moderate Party leader Anna Kinberg Batra told Swedish Radio’s program ”The Echo” that Sweden needs to show that the country is united and will not separate politicians and policies. Later, the Center Party leader Annie Lööf told Swedish Radio that the authorities should work on preventing such events with the added awareness that this is not always possible. She also spoke about potential amendments to the current legislation dealing with memberships in different organizations and communities. Surprisingly, the leader of the far right party Sweden Democrats, Jimmie Åkesson, was not cited in the media. Moreover, King Carl XVI Gustaf of Sweden, who is acting as Head of State, gave a press conference the day after: “I and the entire Royal Family have gotten with sorrow some of the information about the afternoon’s attack in Stockholm. The background and the extent of the incident is not yet known. We follow the development and our thoughts are with the victims and their families”. The attack occurred in very challenging times for the Social Democratic Party, coinciding with its congress which took place on April 7th-12th. Although the congress tackled and discussed major internal political issues, Löfven raised the issue of a possible re-introduction of the obligatory military service and broadened up the focus during his final political speech by praising democracy as the only possible tool to fight against terrorism. However, the prime minister has the very tough task to lead Sweden out of the petty and slimy political game. The Social Democrats have been in power for the last three years, after getting out of a political deadlock and coming perilously close to losing. According to latest opinion polls [in Swedish], the bloc Left-Green–Social Democratic party only gets a combined 40% of the vote, while the combined center-right group leads by 41%. There are two major questions before the forthcoming elections: will Sweden have a minority government and will some of the political blocs cooperate with the far right party Sweden Democrats. The latter is, however, intensively gaining percentage points as the nationalist political rhetoric is spreading enormously throughout Europe. The latest developments in Stockholm raise questions, which are not completely new to major EU countries, struggling to handle and integrate huge migrant flows. According to the UN, the number of international migrants (residing in a country different than their home country) has reached 244 million in 2015, which is a 41% increase in comparison with 2000. Taking a glance at the Swedish numbers, the Swedish Migration board reveals that 163 000 people have applied for asylum in Sweden in 2015, which is the highest number of applications registered so far. The number of applications decreased in 2016, reaching 28 939. By far, the Swedish Migration Board granted asylum to 111 979 people. However, more than 70 000 people haven’t received their decision yet. “The goal is to proceed further with the decisions for those who have been waiting for too long. Our preliminary goal is for this to happen in the summer 2017”, says Acting Director-General Mikael Ribbenvik. Among these numbers, one could find the case of the Uzbekistani citizen Rakhmat Akilov, who has claimed responsibility for the terrorist attack in Stockholm. According to Swedish police, he was known to the authorities from before and applied for asylum in 2014; the Migration Board rejected his application at the end of 2016, giving him 4 weeks to leave the country. Afterwards, the decision was left to the police and since February 24th Akilov was wanted by the police. Sweden – what is next? The terror attack in Stockholm follows a series of blasts in the last few years in big European cities, where dozens of people died. The attack is the second largest in Scandinavia in times after the Norway Attacks from 2011 on Utøya island, when around 70 people were shot dead. 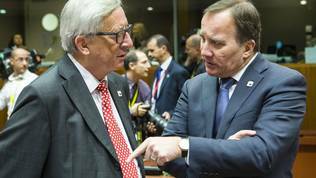 The big question is how will Sweden and the other EU countries find the balance in standing together fighting terrorism with common counter measures, assisting humanitarian aid and responding adequately to the rising amount of asylum applications. In terms of internal politics, Sweden faces a challenging task to handle these applications and to providing social integration to the newcomers with the latter being among the biggest challenges for Swedish politics since the early 1970s. According to a 2012 OECD report, Sweden ranks 10th as a share of migrants in its population, with a steadily growing percentage of 14% of foreign-born of the overall population. The greatest number of migrants in Sweden is from countries such as Finland, Poland and Iraq, a report of Statistics Sweden reveals. Furthermore, during the last year the percentage of British nationals, granted Swedish citizenship, increased considerably, which is a possible reaction to the Brexit referendum. The increasing diversity in Sweden could be interpreted as a logical and natural reaction to global developments in the last 50 years: with the constant migration of EU labor force, social insecurities, wars and conflict zones. An adequate reaction and an open public discussion will facilitate integration and would minimize social side effects of growing segregation in some suburbs in major cities like Stockholm and Malmö. Constant media coverage of crime, committed in dangerous segregated areas, such as Husby, Rinkeby, Rosengård, and the lack of adequate political agenda create an image of modern Sweden that none of the Swedish would like to identify with. The distinction “us-them” can only deepen the already exiting problems and raise the popularity of the right wing party Sweden Democrats at the next national elections. 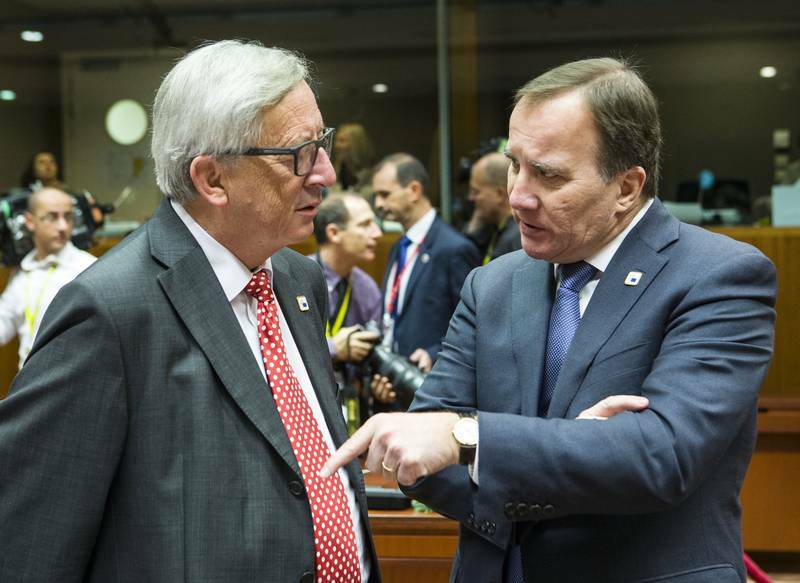 Failure in tackling the critical issues of immigration and integration in Sweden will have a ‘knock-on’ effect on further EU migration and asylum policies. From a ‘human rights’ perspective Swedish politicians must abandon the very Swedish ‘fear of conflict’ mindset and draw a clear line between a person’s nationality and their likelihood to commit a crime in Sweden. The UN Institute for Disarmament Research (UNIDIR): Highest Risk since the End of Cold War. 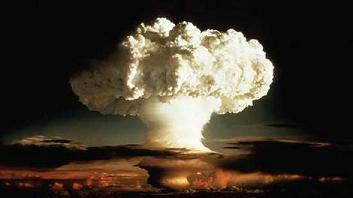 The UN Institute for Disarmament Research (UNIDIR) warned about possible nuclear war, by design or accident, calling the risk highest since the end of the Cold War. Nine nations have nukes: America, Russia, China, Britain, France, India, Pakistan, Israel and North Korea. Given heightened world tensions, especially in East Asia, the Middle East, and US hostility toward multiple countries, possible nuclear war may be inevitable, perhaps just a matter of time. “I think the human race is going to wreck itself, and it is important that we get control of this horrible (nuclear) force and try to eliminate it.” His warning went unheeded. “(s)hall we put an end to the human race, or shall mankind renounce war.” The risk is eventual annihilation. Historian Arnold Toynbee and HG Wells warned about either ending wars or they’ll end us. America intends spending over a trillion dollars upgrading its nuclear arsenal over the next 30 years – instead of responsibly eliminating it along with other nations to end the threat of mass annihilation. A new Pentagon Nuclear Posture Review being prepared is expected to stress adversarial relations with Russia, North Korea, Iran and other nations, heightening the threat of nuclear confrontation. “The USS Carl Vinson aircraft carrier and other” US warships are involved, along with two Japanese destroyers. On April 14, Trump warned about possible military confrontation with North Korea if it conducted more nuclear weapons and ballistic missile tests. On Saturday, China’s Xinhua news agency said Pyongyang rejects dialogue with Washington as long as it’s hostile to its government. War on the Korean peninsula would be disastrous. Anything is possible with neocon generals in charge of US geopolitical policies. Fresh calls for a Greater Albania, incorporating the southern Serbian province of Kosovo, have led to an angry backlash from politicians in Belgrade. Sputnik Radio’s Mark Hirst talked to Marko Djuric, Director of the Government Office for Kosovo and Metohija. Such a move by Albania, if acted upon, could plunge the entire region back into a bloody and costly war on a scale not seen since the 1990s. Marko Djuric said that Serbia will not allow the creation of a Greater Albania in its southern province and that it is not alone in opposing the idea, which stems from the times of Nazi occupation of Yugoslavia. When asked whether this inflammatory statement by Albanian Prime Minister Edi Rama was a tactical move, rather than a serious claim, Djuric said that if it was actually translated into concrete action, then it would be a blatant violation of international law. “For us and for a large part of the international community, including the UN, Kosovo and Metohija are an integral part of Serbia. 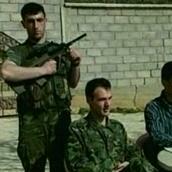 There was no kind of a democratic procedure in Kosovo’s secession from Serbia,” he emphasized. Meanwhile, the EU, a body to which both Serbia and Albania eventually hope to join, remains silent over the Albanian prime minister’s controversial comments. “Unfortunately, we saw silence when Pristina decided to stop the dialogue, and we don’t see a sufficient EU reaction to these claims. During the past years the Pristina authorities have failed to bring about any economic growth in the region where the unemployment rate is 65 percent and 45 percent of ethnic Albanians live below the poverty line even though the EU has invested over 60 billion euros into our southern province,” Marko Djuric continued. “We should also bear in mind the fact that two-thirds of Kosovo’s pre-war Serbian population remain refugees and only about 120,000 still live in Kosovo and Metohija in poor economic conditions and political isolation, while over 200,000 now live in central Serbia,” Djuric pointed out. He added that the EU was doing nothing to help the Serbs to return to Kosovo. Marko Djuric added that whatever assistance the returnees get comes from Serbia, which pays monthly allowances to those who want to return. “What we can’t provide without the assistance of the international community, however, is a political climate and access to property. Over 80,000 houses and apartments in Kosovo are now used by other people and, together with security problems, these are the biggest obstacles preventing the Serbs’ return to Kosovo,” Marko Djuric said. Soon afterward, President of Kosovo Hashim Thaci said that if Brussels “closed [the] door on Kosovo,” all Albanians in the region would unite into one state. The Albanians are one of the Balkan peoples constituting the majority of population in Albania. However, significant numbers of Albanians live in the territories of former Yugoslavia, neighboring Albania itself, such as Kosovo and Montenegro. A number of politicians, such as Rama, have voiced the idea of a Greater Albania in order to unify all the territories inhabited by the Albanians within a single state. Kosovo unilaterally proclaimed independence in 2008 and is recognized by over 100 UN member states. Serbia, as well as Russia, China, Israel, Iran, Spain, Greece and some other countries do not recognize Kosovo’s independence. 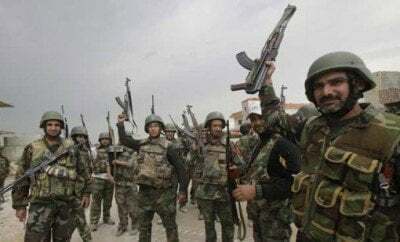 Syrian government forces have regained more areas from Hayat Tahrir al-Sham-led forces in northern Hama. Government troops have captured Massanah, Zawr Mahruqah, and reached Markabah. Clashes were also reported in Buwaida and Zailaqiat. Current developments show that government forces will likely attempt to secure Buwaida and Markabah and then storm Lataminah. Fresh speculation has been circulating in the media that Russia is preparing to deploy its ground forces to Syria following an expected official request by the Syrian government. The reports refer to some unknown military sources and argue that a plan for the deployment already exists. However, this looks like another attempt to warm things up on the diplomatic front amid the collapse of “opposition” forces in northern Hama. The US-backed Syrian Democratic Forces (SDF) have continued their steady advance against ISIS in the northern countryside of Raqqah and inside the town of Tabqah. The SDF seized the district of Wahhab in southern Tabqa and an industrial facility in the western part of the town, allegedly killing over 10 ISIS terrorists. While the SDF is successfully advancing inside the town, reports that the US-backed force is in control of over more than half of Tabqah are not confirmed by evidence. In the northern countryside of the ISIS self-proclaimed capital, SDF fighters achieved full control over a number of recently encircled villages north of Al-Hazimah and Mazraat Tishrin. On Monday, the US Treasury Department Office of Foreign Assets Control issued sanctions against 271 employees of Syria’s Scientific Studies and Research Center, alleging that the agency is responsible for producing chemical weapons. “We take Syria’s disregard for innocent human life very seriously, and will relentlessly pursue and shut down the financial networks of all individuals involved with the production of chemical weapons used to commit these atrocities”, US Treasury Secretary Steven Mnuchin said. There are no doubts that the words “all individuals” don’t include members of al-Qaeda-style “opposition organizations” operating across Syria, specially if these “opposition organizations” fight against the Assad government. 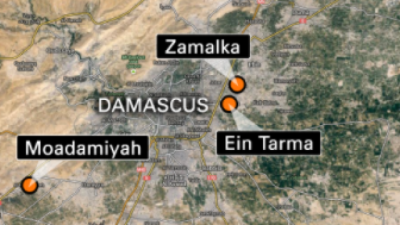 On April 7th, the US launched 59 Tomahawk cruise missiles at the Ash Sha’irat military airfield operated by the Syrian Air Force following an alleged chemical attack supposedly conducted by the Syrian government in the province of Idlib. This move was described by Washington as a legal way to send a “signal” to the Syrian government. In March 2011, Obama launched war on Syria to destroy its sovereignty and replace Assad with pro-Western puppet rule. Trump upped the stakes. He escalated war, increased US terror-bombing, and doubled the number of US forces on the ground ahead of likely larger numbers coming. His hugely dangerous war plan risks direct confrontation with Russia. Instead of governing responsibly, he’s recklessly risking possible nuclear war in the Middle East and on the Korean peninsula. 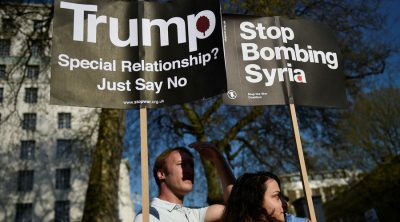 In northern Syria, hundreds of thousands of civilians are threatened by US terror-bombing – targeting infrastructure and government sites on the phony pretext of combating ISIS America created and supports. On Monday, UN Secretary-General Antonio Guterres’ spokesman Staphane Dujarric issued a briefing on catastrophic humanitarian conditions in Yemen, Mosul, Afghanistan, South Sudan, and the safety of over 400,000 Syrians in Raqqa. Fighting and terror-bombing of Mosul continues, up to 400,000 displaced so far – in desperate need of aid. The lives and welfare of around two million Iraqis are endangered by ongoing conflict. The civilian death toll keeps mounting. America’s longest war continues endlessly with no prospect for resolution. Syrians in and around Raqqa are exposed to daily ground fighting and US-led terror-bombing – including against infrastructure, hospitals, schools, mosques, markets and residential areas. Unknown numbers of civilians are being killed daily, perhaps thousands before the campaign ends. “Some 39,000 (were) newly displaced,” most in open areas without shelter or protection from fighting and bombing. Desperate people are without humanitarian aid. Russia’s intervention in Syria improved conditions greatly for its people – liberated from hundreds of areas previously controlled by US-supported terrorists, provided with humanitarian aid by Moscow and Syria to sustain them. Separately on Monday, the US Treasury Department announced sanctions on 271 Syrian Scientific Studies and Research Center personnel – on the phony pretext of involvement in chemical weapons development. Washington holds them responsible for developing the toxic agent used in Kahn Sheikhoun on April 4 – an incident Syria had nothing to do with, a false flag irresponsibly blamed on its military and Bashar al-Assad. “(O)bvious false information” is being used by America and its rogue allies to topple Assad – likely by escalated war, involving larger numbers of US forces. US Has Given Green Light for Coup in Venezuela ? According to the Bolivarian leader, the U.S. government wrote up a coup scenario for opposition leader Julio Borges. A day before opposition leaders convened more protests in Caracas calling for the ouster of Venezuela’s government, the country’s leader has accused the United States of working with right-wing leaders towards a coup. 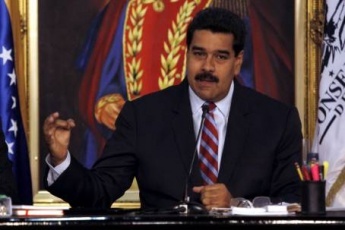 “The U.S. government, the State Department has given the green light, the approval for a coup process to intervene in Venezuela,” President Nicolas Maduro said, speaking from the Miraflores Palace. Maduro said that security forces had arrested an “armed commando group sent by the opposition in order to attack the mobilization called by the right-wing for Wednesday to generate violence and deaths in the country.” An investigation has been opened to determine who is behind the plan. According to the Venezuelan leader, who also pointed to a U.S. State Department statement issued Tuesday evening warning of an “international response” should “peaceful protests” face repression, the U.S. government wrote up a coup scenario for opposition leader Julio Borges. The “scenario” Maduro referred to consists in generating violence and deaths before blaming the Venezuelan government for allegedly violently attacking political opponents. Then the plot leaders would demand immediate elections, ahead of Maduro’s official end of term in 2019. “No more coups in Venezuela, no more plots,” said Maduro, adding that he activated a public security plan to maintain order. The Venezuelan leader also called on government supporters to take the streets in the defense of the 18-year Bolivarian Revolution, which has seen an unprecedented internal and external attack in recent months. The demonstrations come after weeks of opposition-led anti-government demonstrations calling for the ouster of the country’s Supreme Court judges as well as President Nicolas Maduro. According to reports, among those killed in the ensuing violence include a 13-year-old boy who was shot Wednesday when opposition protesters entered a social housing complex and an 83-year-old woman who was not able to receive medical attention due to opposition roadblocks. Opposition protesters have vandalized various areas in Caracas in recent days causing economic damage estimated at around 50 billion bolivars, President Maduro announced Sunday. A high school, a community health center, various subsidized food markets and several government ministries have also reportedly been severely affected. The opposition MUD alliance has called for a “Mega March” protest in Caracas on Wednesday and estimate a large turnout with promotions flooding social media. Officials fear that there could be violence should they attempt to redirect marches to areas where pro-government demonstrators will be gathered. Posted in USA, VenezuelaComments Off on US Has Given Green Light for Coup in Venezuela ? Posted on 25 April 2017. Tags: Syria: Nerve Agent Attack ? This report corrects an important error in the earlier report released on April 18, 2017 titled The Nerve Agent Attack that Did Not Occur: Analysis of the Times and Locations of Critical Events in the Alleged Nerve Agent Attack at 7 AM on April 4, 2017 in Khan Sheikhoun, Syria. In my earlier report released on April 18, 2017 I misinterpreted the wind-direction convention which resulted in my estimates of plume directions being exactly 180° off in direction. This document corrects that error and provides very important new analytic results that follow from that error. When the error in wind direction is corrected, the conclusion is that if there was a significant sarin release at the crater as alleged by the White House Intelligence Report issued on April 11, 2017 (WHR), the immediate result would have been significant casualties immediately adjacent to the dispersion crater. The fact that there were numerous television journalists reporting from the alleged sarin release site and there was absolutely no mention of casualties that would have occurred within tens to hundreds of meters of the alleged release site indicates that the WHR was produced without even a cursory low-level review of commercial video data from the site by the US intelligence community. This overwhelmingly supports the conclusion that the WHR identification of the crater as a sarin release site should have been accompanied with an equally solid identification of the area where casualties were caused by the alleged aerosol dispersal. The details of the crater itself unambiguously show that it was not created by the alleged airdropped sarin dispersing munition. These new details are even more problematic because the WHR cited commercial video as providing information that it used to derive its conclusions that there was a sarin attack from an airdropped munition at this location. As can be seen by the corrected wind patterns in the labeled photographs on the next page, the predicted direction of the sarin plume would take it immediately into a heavily populated area. The area immediately adjacent to the north northwest of the road is may not be populated, as there was likely heavy damage to those homes facing the road from a bombing attack that occurred earlier at a warehouse to the direct east of the crater (designated on map below). However, houses that were immediately behind those on the road would have been substantially shielded from shock waves that could have caused heavy damage to those structures. Since the reported wind speeds were very low, and the area is densely packed with buildings, a sarin dispersal would certainly not have simply followed a postulated plume direction as shown with the blue lines in the map below. Sarin aerosol and gas would have been dispersed both laterally and downwind by building fronts and would also have been dispersed downward and upward as the gases and aerosols were gently carried by winds modified by the presence of walls, space ways and other structures. A purely notional speculation on how a sarin plume might be dispersed by the structures as prevailing winds push the aerosol and gas through the structures is shown in the figure at the bottom of page 4. The complicated wind pattern inside the densely populated living area would have resulted in sarin accumulating in basements and rooms that are roughly facing into the wind. There would also have been areas in spaces between buildings where sarin densities were much higher or much lower as the gentle prevailing winds moved around corners and created pockets of high and low density sarin concentrations. In addition, the crater-area where the alleged sarin release was supposed to have occurred was close enough to the densely populated downwind area that significant amounts of sarin that would have fallen near the crater during the initial aerosol release would have resulted in a persistent plume of toxic sarin being carried into this populated area as the liquid on the ground near the crater evaporated during the day. The close proximity to the crater would have certainly led to high casualties within the populated area. The images on page 4 are taken from two different videos published on YouTube by the same crew of journalists who reported in detail on the site of the alleged sarin attack. Additional video frames from these two videos are shown on pages five and six. In one of the video reports the journalist takes the observer on a short walk to the location of a dead goat. A close-up of the dead goat suggests that the animal was foaming at its mouth and nose as it died. Video taken from a drone at high-altitude operated by the television crew shows the location of the dead goat, which is clearly well up wind of the sarin release point. Under all but implausible conditions, the wind would have carried sarin away from the goat and it would not have been subjected to a significant dose of sarin had largely been within the area where it was found. If one instead guesses that the goat might have been wandering around and had wandered into the path of the newly dispersed sarin, the goat should have been found on the ground near the release point as the sarin dose within the plume would have killed it very quickly. Other images from the video report are of two examples of dead birds. Neither of these video images can be connected to the crater scene as there was no continuity of evidence from the movement of the cameras. This assessment with corrected wind directions leads to a powerful new set of questions – why were the multiple sets of journalists who were filming at the crater where the alleged sarin release occurred not showing the numerous victims of the alleged release who would have been immediately next to the area? It is now clear that the publicly available evidence shows exactly where the mass nerve agent poisoning would have occurred if in fact there was an event where significant numbers of people were poisoned by a nerve agent release. This does not rule out the possibility of a nerve agent release somewhere else in the city. However, this completely discredits the WHR’s claims that they knew where the nerve agent release occurred and that they knew the nerve agent release was the result of a airdropped munition. There is a second issue that I have refrained from commenting on in the hope that such a discussion would not be necessary. The mainstream media is the engine of democracy. Without an independent media providing accurate and unbiased information to citizens, a government can do pretty much what it chooses without interference from the citizens who elected it. The critical function of the mainstream media in the current situation should be to report the facts that clearly and unambiguously contradict government claims. This has so far not occurred and this is perhaps the biggest indicator of how incapacitated the mechanisms for democratic governance of the United States have become. The facts are now very clear – there is very substantial evidence that the President and his staff took decisions without any intelligence, or far more likely ignored intelligence from the professional community that they were given, to execute an attack in the Middle East that had the danger of creating an inadvertent military confrontation with Russia. 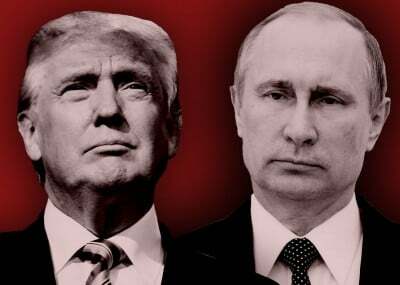 The attack has already created a very serious further downward spiral in Russian-US relations, and has had the effect of seriously undermining US efforts to defeat the Islamic State – a common enemy of the United States, Russia, and the Western European powers. As such, it is a sacred duty of the mainstream media to our democracy and its people to investigate and report on this matter properly. In other words, the Trump Administration is continuing what had originally been the Obama Administration’s objective, prior to Russia’s entry into the war on Assad’s side on 30 September 2015: regime-change in Syria. The Trump Administration is apparently willing to go to war against Russia in order to remove Assad and replace him with a leader who is supported by the U.S., Saudis, and America’s other allies in the war to replace Syria’s existing government. The present news-report is being submitted to all U.S. news media, for publication without charge, in the hope that Dr. Postol’s analysis, and other critical analyses of the White House Intelligence Report, will be made public by the U.S. news media, given that the Trump Administration is blocking any third-party independent scientific investigation into this important matter, and a war between the United States and Russia could result. Will War Follow Another North Korea Nuclear Test? On Monday, Xi Jinping and Trump spoke for the second time by phone on North Korea since the Chinese president’s visit to Mar-a-Lago earlier this month. Yet he called for “restraint,” avoiding “provocative actions,” and strictly observing Security Council resolutions to resolve things. Both leaders want the Korean peninsula denuclearized, Beijing justifiably concerned if conflict erupts, its national security will be threatened. Preventing it by pressuring Pyongyang to halt further nuclear and ICBM tests appears to be China’s red line. It’s the only country able to get concessions from the DPRK – whether on its nuclear and missile programs remains a test for its leadership. Separately, China’s Foreign Minister Wang Yi said his country will not be swayed by the various statements (made by parties involved), and will not renounce its due responsibility. Last week, Beijing endorsed a US-proposed Security Council statement, condemning Pyongyang’s failed April 16 ballistic missile test. It demanded halting all activities in violation of SC resolutions. The DPRK responded by threatening “catastrophic consequence” if Beijing sides with Washington on these issues. Last Friday, the Beijing-linked Global Times (GT) called for a “realistic solution (to) the NK nuke issue” – expecting another nuclear and ICBM test, warning of an “emergency situation” if they’re conducted. China’s situation is delicate. So far, it’s unsuccessfully tried getting Pyongyang to halt its tests in return for Washington and South Korea calling off or suspending their joint large-scale military exercises – ones the DPRK believes is preparation for war. Above all, China wants war prevented, potentially catastrophic if erupts, especially pitting two nuclear powers against each other on Beijing’s border. China opposes Pyongyang’s nuclear and ICBM programs – short of resolving the situation militarily. On Tuesday, GT asked if Pyongyang will wisely step back from the brink. If not, a “point of no return may be crossed,” it said, risking another Korean peninsula war, the North suffering most of all. A best case scenario under dire conditions is stiffer sanctions, including by China, short of crippling ones. If Washington launches attacks, Pyongyang “will be forced to make a life-or-death decision,” said GT. Failure to retaliate will let America take whatever steps it wishes, knowing the DPRK alone will pay the price. If it launches its own attacks, possible nuclear war could follow. The stakes are huge. Once the dice is cast, there may be no turning back, the entire region paying a price. Washington wants Beijing to constrain Pyongyang. China can do only so much. It can’t satisfy everyone. It’s going all-out to avoid potentially catastrophic war. North Korea has every right to protect its national security short of conflict risking the lives of millions of its people. Diplomatic solutions to tough issues aren’t easy, the payoff huge if accomplished. Are Pyongyang and Washington wise enough to see war isn’t the answer? Things could come to a head quickly in the coming days. Will madness of war no one can win get both sides to step back from the brink? 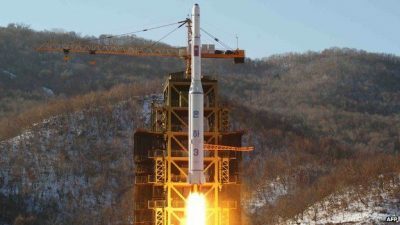 Posted in USA, North KoreaComments Off on Will War Follow Another North Korea Nuclear Test?